manufactured by Combustion Research Corporation. One of many 08165.NG 4.0" Reflect-O-Ray Burners, on this insallation. Installing Infrared heaters above a crane is a safe and an effective way to heat this area. 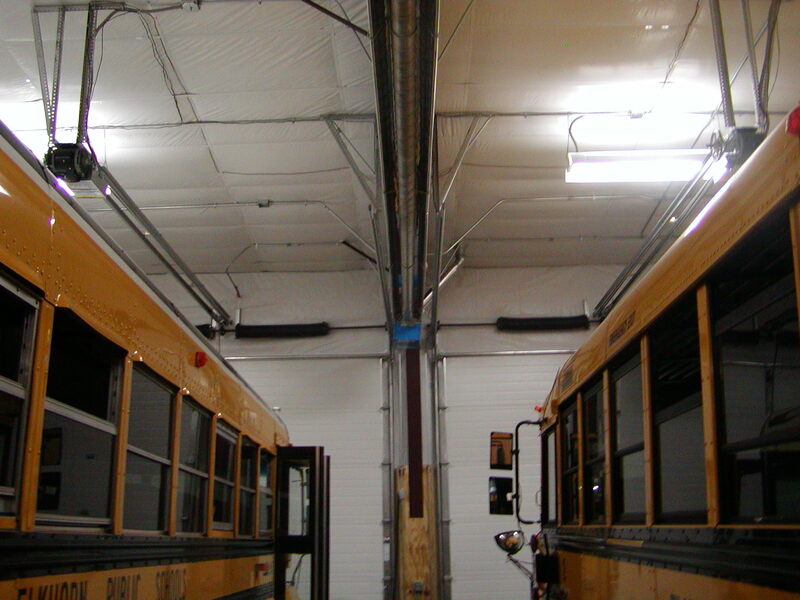 Infrared heaters in bus barns help dry the floor, when the snow packed buses return from their routes. 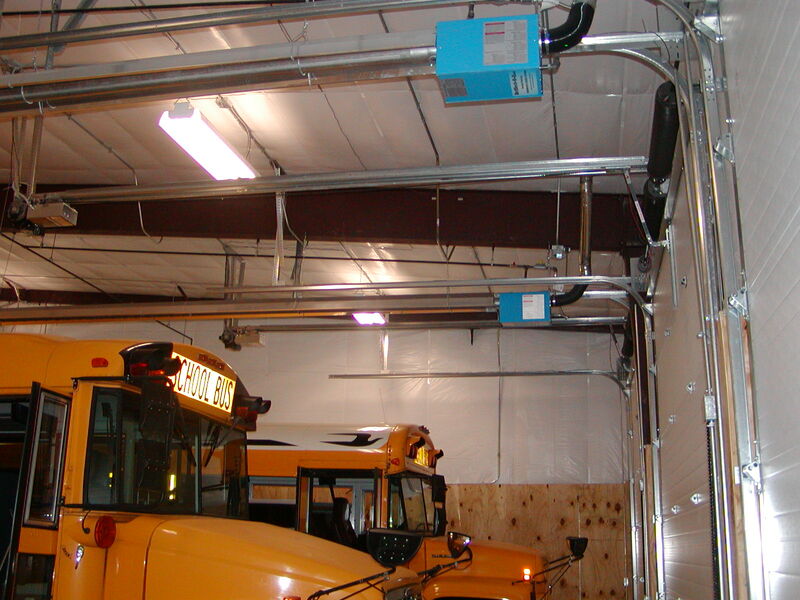 Installing the heaters in between the buses ensures maximum floor penetration. It also, meets all clearance to combustibles. 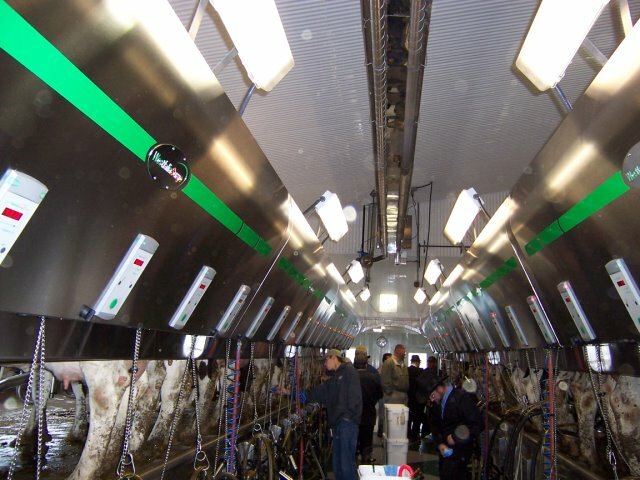 This milking parlor is heated with a U-Tube configuration Reflect-O-Ray system, keeping the workers and equipment warm.